New Delhi: Evaldesign, a cutting-edge Education Research Consulting firm set up in 2013 with a focus on designing and evaluating programs was delighted to announce the launch of the Handbook on measuring 21st Century Skills. The Handbook is an effort to unpack the competencies outlined by various 21st Century Skills frameworks, and outline their sub-components (or constructs) in a granular and mutually exclusive manner. 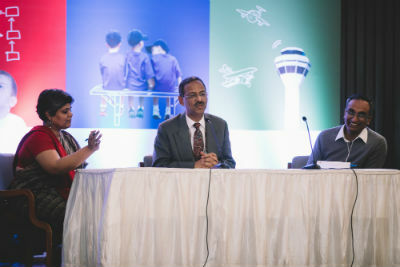 Anil Swarup, Secretary, School Education and Literacy, Ministry of Human Resource and Development, Government of India graced the launch conference with his presence, amongst other eminent speakers. The launch conference introduced the concepts of the handbook to a large audience of practitioners, policymakers and researchers and ignite the debate on the need for specificity of definition and methods of measurement of 21st Century skills constructs.